Our effective, aggressive legal advocacy is bolstered by our lawyers’ commitment to providing each of our clients with compassionate, personalized legal service. At Bell & Pollock, P.C., our clients always come first, and they can count on us to work diligently and relentlessly to help them successfully resolve their cases. We invite you to continue exploring this page and the rest of our site to find out more about how we can help and serve you. When you are ready to receive specific information about your best options for recovery and justice, we strongly encourage you to contact one of our Denver attorneys for honest answers – and exceptional legal representation moving forward. 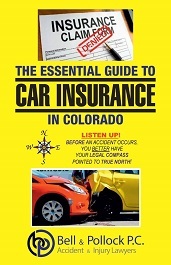 More fatal car accidents occur in Denver than in any other city in Colorado. While any number of factors can contribute to a deadly auto accident, the single most common cause is human error – and, in many instances, the mistakes, carelessness or recklessness of a driver. • Failing to pay attention to the road while driving – Every 5 days in Colorado, a least one person is killed in a distracted driving accident. 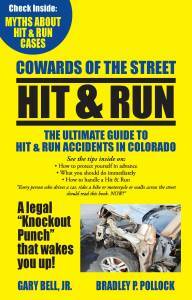 • Failing to comply with traffic laws – Speeding alone causes nearly 1 in every 3 deadly car accidents. Other ways in which drivers’ failures to abide by traffic laws can cause auto wrecks include by running red lights, failing to yield the right-of-way, etc. 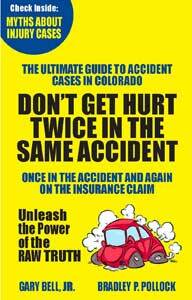 • Driving when impaired – Last year in Denver, drunk, stoned and otherwise impaired drivers caused more than 42 percent of all deadly car accidents. The impacts of a car accident can be devastating, especially if that crash could have been prevented if someone else had just been more careful, attentive or sober. • Healing and restoring lives wrecked by accidents. That is why we are dedicated to championing the rights of auto accident survivors while working relentlessly to bring their cases to the best possible resolution. Contact the best Denver car accident attorney to find out more about your options for getting on the road to recovery and justice after any type of car accident. 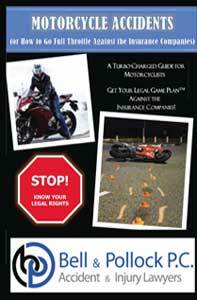 Fatal motorcycle accidents occur five times more often than deadly auto crashes. • When motorcycle accidents involve two vehicles, more than 40 percent of these accidents involve other drivers turning left while riders are trying to proceed straight. These facts may all be pretty grim to consider. However, they pale in comparison to the damage that even just one motorcycle accident can leave behind. Skilled at protecting and advancing the rights of motorcycle accident victims and their families, an attorney at Bell & Pollock is ready to help you recover from the damage caused by a bike wreck. As you focus on physically and mentally recovery, our Denver motorcycle lawyers can stand up to negligent parties and insurance companies on your behalf, helping you secure the compensation and justice you deserve. Every year across the U.S., truck accidents kill more than 3,700 people and injure at least 60,000 others. • Driver negligence – Some of the most common ways in which truck drivers’ carelessness or misconduct leads to truck accidents include via driver distraction, driver impairment, driver fatigue and failure to comply with traffic laws. Motorists other than truckers can, of course, also cause truck accidents. • Trucking company negligence – Trucking companies are responsible for complying with all federal and state regulations to ensure that the vehicles and drivers they put on the roads are as safe as possible. When these companies break the rules, cut corners and otherwise fall short of being responsible, accidents can happen – and the companies can be liable. • Other factors – In addition to driver and trucking company negligence, other factors that regularly contribute to truck accidents include vehicle-related issues (such as brake failures, tire blowouts, etc.) and environmental factors (such as poor roadway conditions). In some cases, other parties – like equipment manufacturers or even municipalities – may also be liable. When you are ready for straight answers about your rights and recovery options after a truck accident, it’s time to contact a Denver truck accident lawyer at Bell & Pollock, P.C. Following a serious truck crash, an attorney can be the key to your financial recovery, your overall recovery, and a brighter future. Accidents have deadly outcomes all too often. In fact, more than 33,000 people are killed every year in motor vehicle accidents, and well over 30,000 other lives are ended short by fatal falls. What can be far more distressing than those facts is the devastation and turmoil that even just one wrongful death can leave behind. That is why our attorneys are committed to helping families who have lost a loved one to a wrongful death. Our superior representation, backed by compassionate service and support, can empower families to start picking up the pieces. At least 1 in every 5 falling accidents causes a severe injury, like a traumatic brain injury (TBI) or a spinal cord injury. Falls are the single most common cause of TBIs in the U.S.
Every year, the medical costs alone associated with treating fall injuries are about $34 billion. People older than 65 have the greatest risk of sustaining serious injuries in falling accidents. 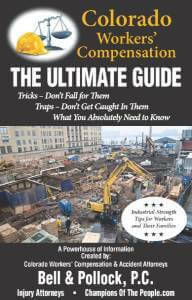 • The Colorado workers’ compensation system can be incredibly complex to navigate. • It’s not uncommon for valid claims for workers comp benefits to be denied – or for approved benefits to be wrongly terminated (i.e., stopped too early). 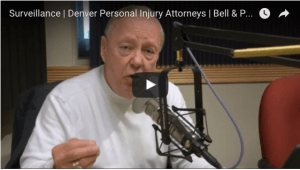 To overcome these challenges and obtain the benefits you need and deserve after a work accident, contact an experienced Denver attorney at Bell & Pollock, P.C. When accidents happen on the job, time is critical – both when it comes to receiving medical treatment for the healing process, as well as for pursuing compensation. In fact, while injured workers must report their accident and injuries to employers within four days of the injury (according to Colorado law), there are a number of other deadlines that have to be met in order for a workers compensation claim to be successful. To overcome these challenges and obtain the benefits you need and deserve after a work accident, contact an experienced Denver workers compensation lawyer at Bell & Pollock, P.C. Bell & Pollock have treated me with respect and concern. 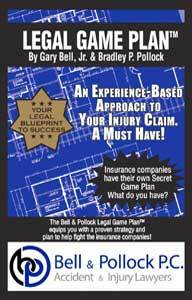 Gary and Hollie have listened to me, answered my questions and guided me through the lawsuit process. Hollie has always kept me informed and has gotten back to me with answers and guidance. I have already recommended Bell & Pollock to others. I expect to reach a fair and reasonable settlement through their representation. See the Radio Show Live!